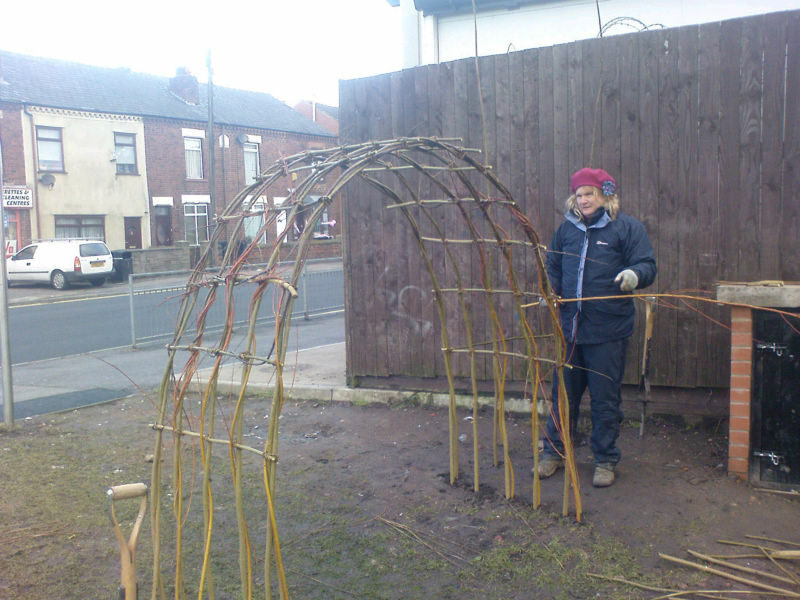 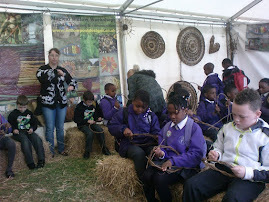 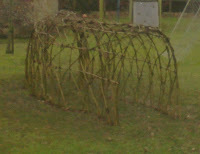 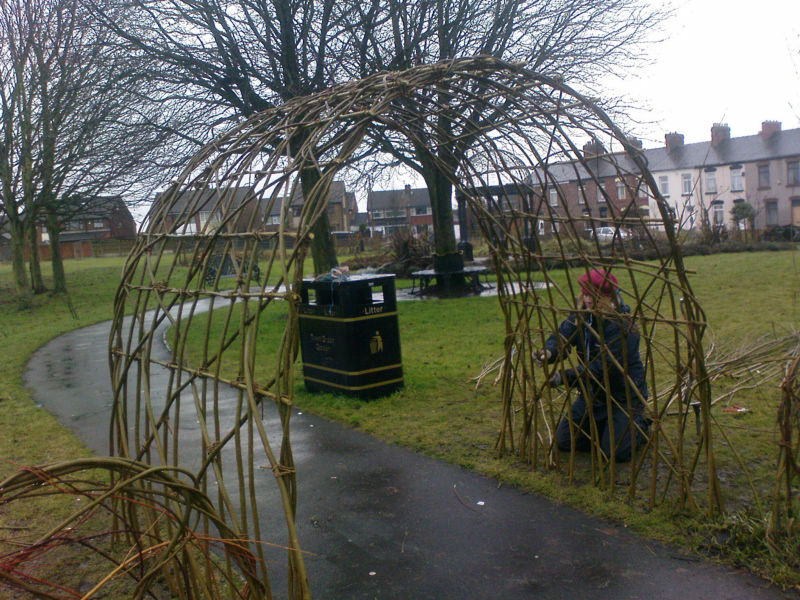 we spent a nice day at Canonbie Primary School working with all of the children there to build a living willow tunnel. 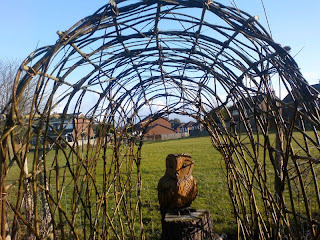 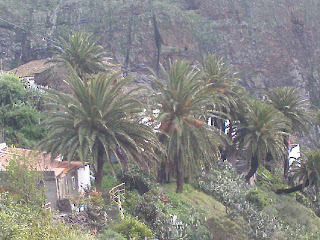 it was nice to be back in Canonbie as Steve used to live there at Woodslee Cottage near the Willowpool on the River Esk. 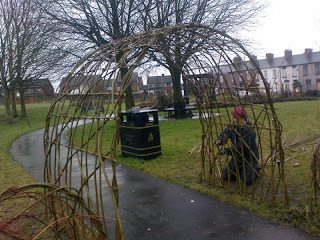 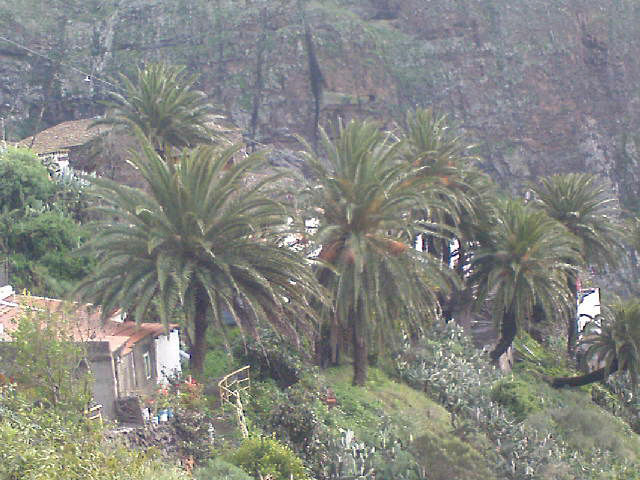 In fact this is how Willowpool Baskets, later Willowpool Designs got its name. 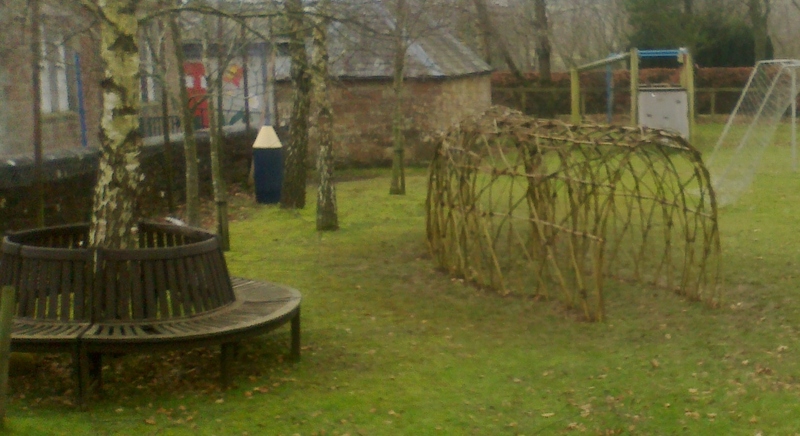 Steve built one of the first Living Willow Tunnels in Scotland on the riverbank beside the river many years ago for Dumfries and Galloway Arts Association. 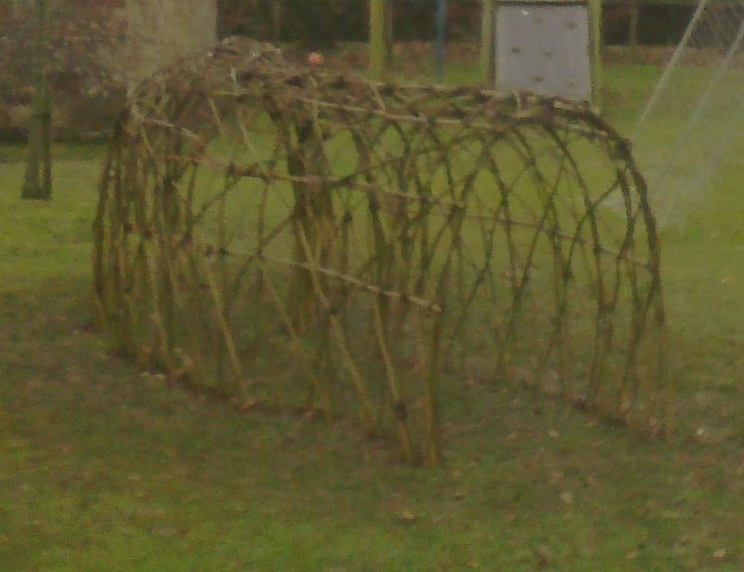 Sadly it was cut down a few years ago but teachers at the school and some of the older pupils remembered the tunnel being there until quite recently. 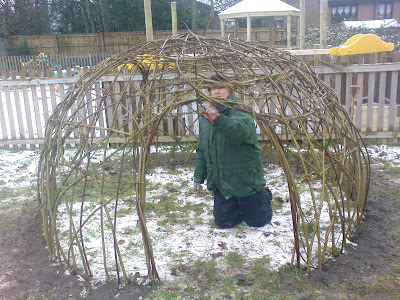 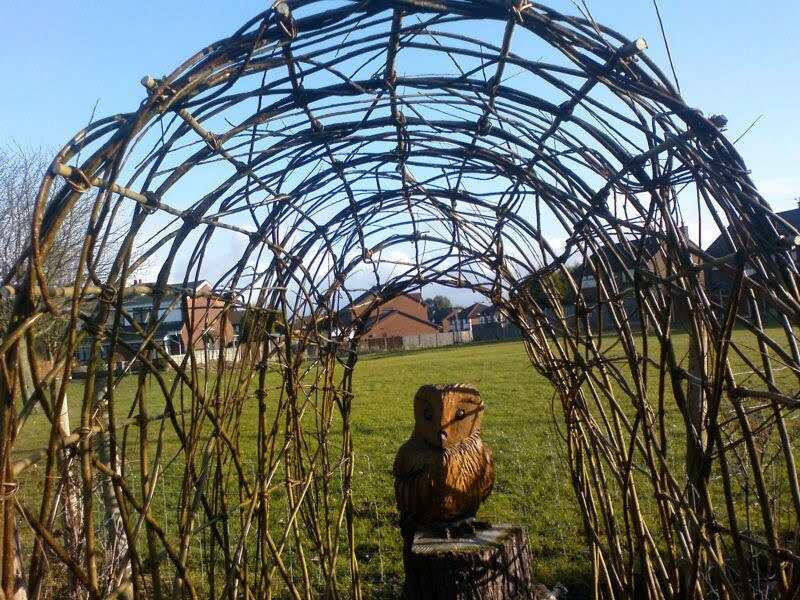 the new tunnel was built in the school playing field and each pupil planted a willow rod!